Brazil city is a perfect destination symbolizing exoticism with close proximity to the wilderness of the rain forests of Amazon. 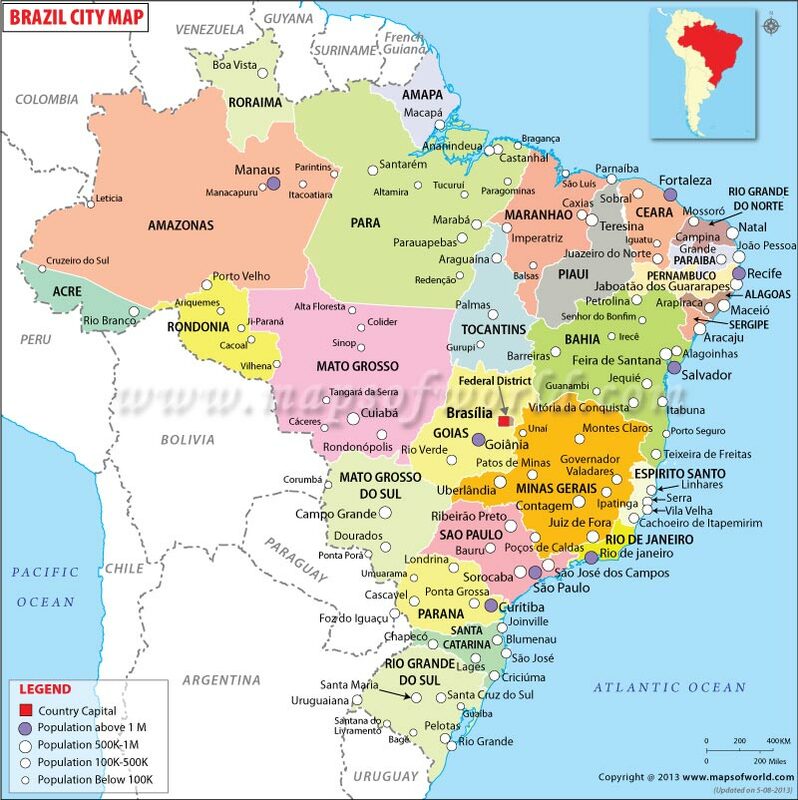 Any Brazil City is most of the times regarded as the Mecca of football.There are a large number of Brazil cities which are popular across the world for several reasons. They have produced a large number of football greats who have been mesmerizing the lovers of the sport for years. These cities in Brazil are also among the top tourist destinations in the continent of South America. Among the large number of Brazil cities, the Rio de Janeiro is one of the most popular. It was the capital of the country for a long time from 1763 to 1960. This city is the hub of the carnivals and celebrations which incarnates Brazil. It experiences a riot of colors in its very existence. One of the most important cities of Brazil is Brasilia. It is also the capital of the country. The city, located just in the central part of the country, is in the list of the World Heritage Site published by UNESCO. It is located in the Federal District and has a shape, which resembles a butterfly or an airplane when seen from above. There are a large number of places of tourist attraction in the cities of Brazil. These include the Paranoa Lake, Cathedral of Brasilia and much more. These have made the Brazil cities extremely popular among the tourists.